The movie stars Michael Pena as Mr. Roarke. Lisa Hale will play one of the guests at a mysterious island where people can live out their fantasies — for a price. Jimmy O. Yang, who starred in “Crazy Rich Asians,” has also been cast along with Portia Doubelday, Maggie Q and Ryan Hansen. The “Fantasy Island” movie is based on the television series, which ran for seven seasons on the ABC Network from 1977 to 1984 and often dealt with dark themes and the supernatural. The Mr. Roarke role was originated by Ricardo Montalban in the television series. 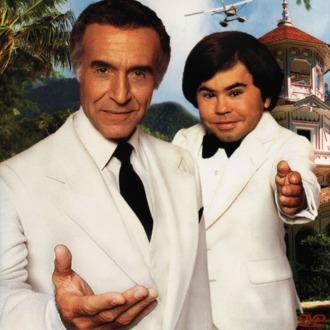 The TV show became best known for Mr. Roarke’s sidekick Tattoo (played by Hervé Villechaize), who would ring a bell in a bell tower and shout “Ze plane! Ze plane!” to announce the arrival of a new set of guests at the start of each episode. “Truth or Dare” filmmaker Jeff Wadlow is directing and penning the script with his “Truth or Dare” co-writers, Chris Roach and Jillian Jacobs. Jason Blum is producing, while Wadlow will executive produce. “Fantasy Island” is the first movie title to be set for the Feb. 28, 2020 date.